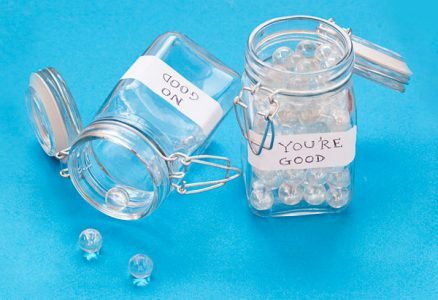 Acknowledge and promote positive behavior . . . . Only fill You’re Good Marble Jar: Reward yourself system using marbles to reinforce good behavior. Something about that physical sound will spark a magical connection between cognitive recognition and the positive behavior you want to reinforce. The object of this tool is to make choices that are kind, helpful and that make you feel good. In time, the good choices and positive thoughts will become more natural.